Vibrate collar for PAC nDXT+ Training systems. Categories: SPARE COLLARS FOR NDXT & EXT SYSTEMS, Pacdog Parts & Accessories, Pacdog dog training systems. 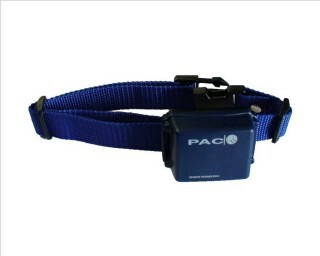 Additional collar for PAC nDXT and EXT Training systems with Tone/Vibration pre-warning. With the new EXT range of digital remote trainers, incorporating UHF radio technology, PAC has advanced even further to give yet higher reliability and longer reach than ever before. 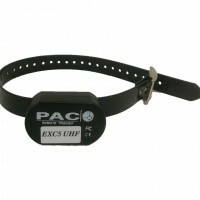 PAC thus retains the leadership in this specialist field of Dog Control systems. The handler’s ability to communicate with one or more dogs at greater distances will give him the added confidence to enable even greater freedom from the lead in both urban and rural environments, whether your dog’s original problem was his disobedience to recall, or his anti-social or life-threatening activities. Chasing cars, joggers, cyclists, postmen etc.